It's becoming more and more important to me to be able to identify the bee's that buzz around my yard. In the Pacific NW, we've seen a huge decline in our native bumble bee population. I've always been curious about bee's but now I feel compelled to know who is visiting my garden and to help them thrive. I found a great resource here from the Pollinator Partnership to assist with bee identification. I've learned that all the early bumbles bee's that I've seen in my yard thus far, have been emerging queens with an orange band on the back. Now..if I could only get a picture then I could really identify them, but I've narrowed it down to 2 more common types. It would be excited to see less common bumbles. 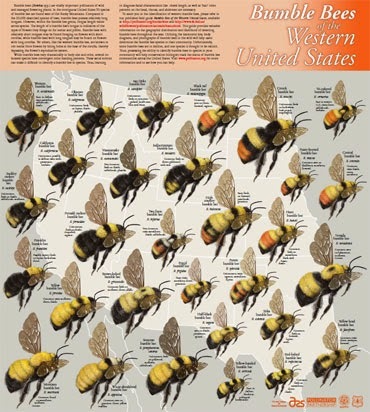 I like this source for Western Bumble Bee identification too. The bee's have been enjoying my lupines and rhododendrons and the old snow ball tree. It's makes me happy to hear them buzzing around. 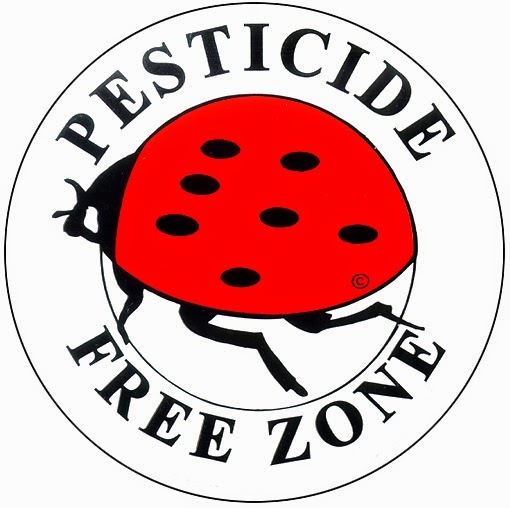 Lastly, I just received my sign from Metro that I have pledged not to use pesticides in my yard. We have done this for years. 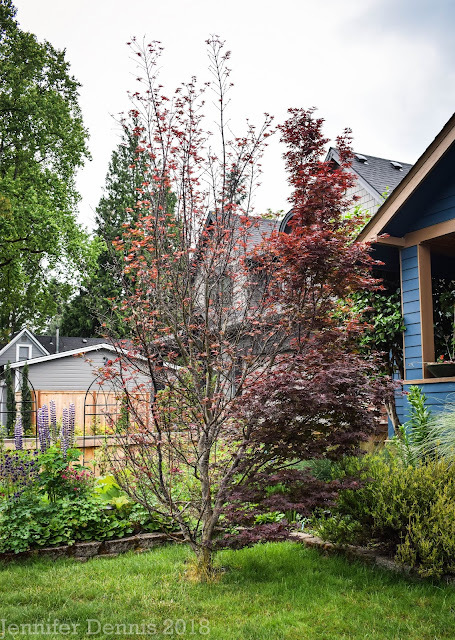 So..Portland area gardeners, can you commit to using no pesticides in your yard and garden? We can go a long way to keeping our bee population healthy if we all making minor changes in the way we live. Click here for more information about going toxin free. And I encourage you to find out who is buzzing around in your gardens. It's just another level of connection to nature and it reminds us that for every action we make, there is a consequence. It's so difficult to identify lots of insects even with a chart isn't it? This is a noble cause. Thanks for the links. We have lots of bumbles, but it never occurred to me to look for variations among them. I don't know if it will grow there but in my New England garden one of the best pollinator plants is Mountain Mint. 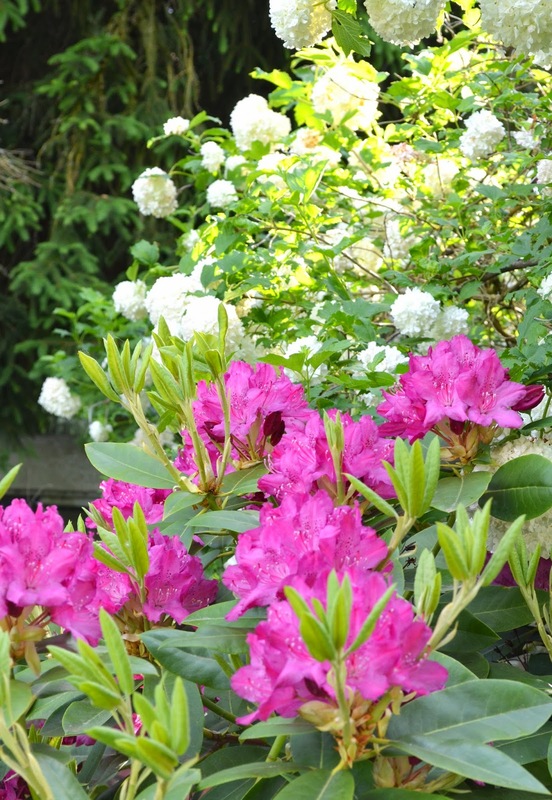 It blooms late in the year and is absolutely covered with a diversity of bees and wasps (and spreads like crazy so be very, very careful where you put it). I grow it in the Hell Strip (between the sidewalk and the street) and need to put up warning signs for people who are afraid of bees (personally I haven't been stung since I was a child so it's so that people who are afraid can go around, not because they're dangerous). I hope your ID guide helps with the Bumble Bees. Wait till you move on to try and ID the smaller stuff, it gets harder! I was out trying to get a few photos of my bees , they definitely favor the Alliums at the moment ,but wait till the Sedums and eryngiums bloom . What a great and timely post, Jennifer. It's such a struggle. I'm going to delve into your link as soon as I'm caught up with my blogs. Incidently, I saw the oddest thing yesterday.....a stem of a peony chewed right in half. And a caterpillar doing the chewing! (NEVER has that happened to a peony in my garden before). I had no clue caterpillars would do that.